Australian Standing Stones Watsons Drive , NSW, Australia. Australian Celtic Festival 2-5 May featuring four days of entertainment, ceremonies and fun! No refunds available. 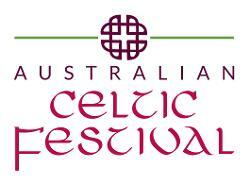 Australian Celtic Festival 2-5 May. Every year crowds descend on Glen Innes (population 9000) for the Australian Celtic Festival. They are attracted by the unique Celtic experience, the opportunity to meet with friends and to enjoy famous country hospitality. The Festival attracts clans, cultural groups, dancers and performers from around the world. Visitors experience Celtic music and dance at four stages at the Festival's main venue, the Australian Standing Stones, and in many venues around town. The Australian Standing Stones are an array of granite monoliths often shrouded in autumn mists. You definitely don't want to miss rising at dawn and to listen to the haunting skirl of pipes amidst the stones. The four day Festival features entertainment that includes a street parade, kirking of the Tartan, massed pipe bands, re-enactment village, buskers, workshops, yard dog trials, children's entertainment, a fun run, dancing, flag raising ceremonies, poet breakfasts, market stalls and Celtic foods. Each year's Festival celebrates one of the Celtic nations.